And our winners are in: Nick Tudor, Anup Jonathan, Ernest Garcia, Rudy Alapag, Nolan Mccarthy, Jason Dillion, Robert Barroso, Pato Vio, Scott Woodman and Bob Bolton. We would like to thank everyone who participated in the competition! And once again, thanks to 20th Century Fox for teaming up with us once again. Alien vs. Predator Galaxy and 20th Century Fox are teaming up to give members of the Alien vs. 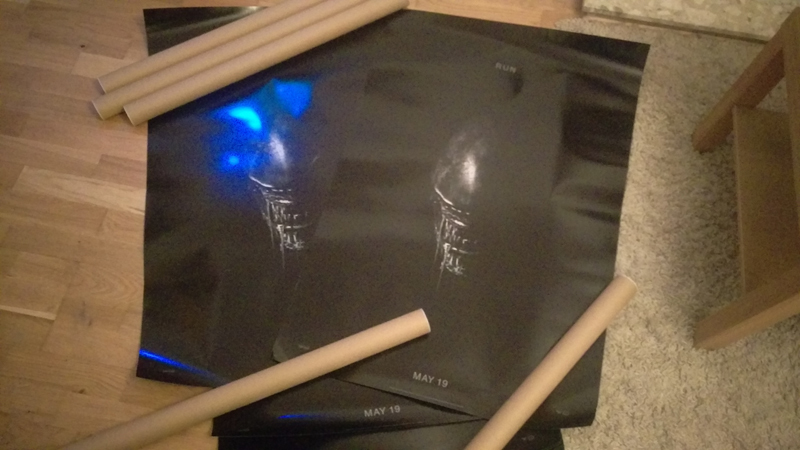 Predator Galaxy community a chance to win one of ten Alien: Covenant teaser posters! So far these posters are only sent to cinemas for display but you could be one of the lucky few to receive one for your own collection! And all you need to do to have a chance to win is tell us one simple thing. We want to know what your favourite part of the Alien: Covenant teaser trailer was. Like the Alien vs. Predator Galaxy Facebook page, share and like this post and comment on it with your answer. 20th Century Fox and Alien vs. Predator Galaxy are teaming up to give 10 lucky community members a chance to win one of these Alien: Covenant posters! The ten winners will be drawn randomly after the competition closes in a week’s time. We would like thank 20th Century Fox for teaming up with us once again and giving you all a chance to get one of these teaser posters. This competition is open for Alien fans worldwide. AvPGalaxy site/forum staff are not eligible to enter. The competition runs for one week and ends at the end of March the 1st. Winners will be drawn by random means. Winners will be expected to provide their postal address after the competition ends. Sweet! But I live in France so I guess I can not participate? Good catch! That's rare a worldwide prize. Well I love you all so everyone gets a shot. Eh, the poster itself is very generic as far as Aliens go. I have the set collection aliens bluray. Best of the best.scify movies I watch them very years . You had me up until I heard the word Facebook. Get yourself on Facebook and Twitter then! Then you get chances to win goodies.